It really is unreal. You’ll keep finding yourself saying things like “This is incredible” and “Where are we?” and “What year is this?” The sites are amazing, the people some of the friendliest in the world (think Newfoundland on a sunny day), and getting around is just as interesting as the sites. It’s possible to take a tour bus or travel on your own with tourist oriented intercity buses, but where you can – take the train. You will meet people. You will see the country at ground level. You will sit in a dining car that rolled off the set of an old Bollywood film complete with the latest in disco lights. You will open the window and be able to stick your head out to look at the countryside. You will have trouble getting that window to close again. And, you will truly know travelling before it became sterilized. Ordinary fares for shorter trips get you a wooden seat. For the longer trips, a 4-berth sleeper can be booked. Buying tickets can be a bit problematic. 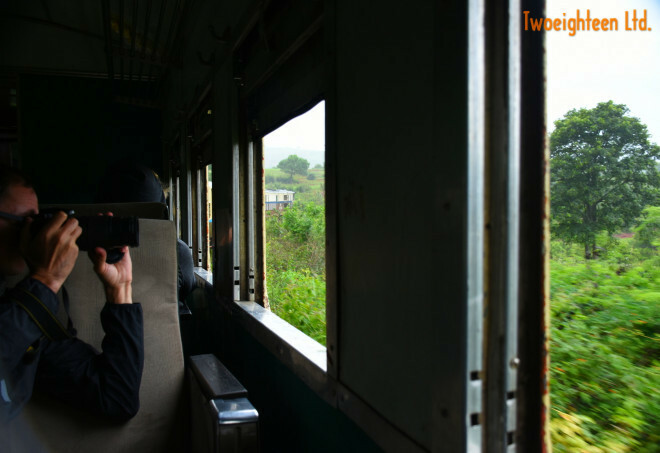 The window to purchase tickets for a long train trip is available only 3 days prior to departure and must be done in person. Finding the right wicket can also take some trial and error. For our overnight trip up-country between Yangon and Mandalay, we arranged tickets through Tours of Exploration. Their folks on the ground in Yangon took care of the waiting in line for us. They were also able to obtain the tickets one month before travel ensuring that we got one of the sleeper cars. If you are taking a shorter trip on your own, you will likely have to wait until the station knows for sure that the train will be coming. If you can locate the station master, let him know you are interested in getting on the next train and it’s likely he will find you when the tickets are available. Bring your passport to the station. Prepare for delays. Packed some snacks for the journey. Oh, and bring some disinfectant wipes. If you wander around the internet before you depart, you’ll read lots of warnings about the poor conditions of the tracks, the slow passage and cleanliness of the cars. That’s all true. These trips are not for everyone. But if you are going to Burma to experience the country and not to just add a country to your list, get on one of the British – Burmese circa 1940 cars while you still can.